Great Plains Contracting blends together significant strengths and experience through its shareholder structure. Thousands of potential employees and future leaders are available through FHQ Developments; Graham brings over eight decades of construction solution delivery experience; and Points Athabasca Contracting is a First Nations partnership having successfully delivered projects valued at several hundred million dollars. Together we form a strong team and offer substantial capacity to clients and stakeholders in southern Saskatchewan. Using our partnership, Great Plains Contracting excels at delivering a diverse and wide range of industrial projects. Great Plains provided site and facilities maintenance at the K+S Legacy Potash Mine included equipment fueling/servicing, hazardous spill cleanup and disposal, miscellaneous carpentry, garbage management/site cleanup, material offloads and rigging support, laydown management, snow removal and sanding, and jersey barrier supply and placement, and site and RM heavy haul roads maintenance. The project accrued approximately 500,000 manhours with no lost time accidents, and maintained an Indigenous workforce engagement of 67%. Great Plains was subcontracted to Graham Industrial Services to complete various scopes on the Enbridge Line 3 Replacement projects. 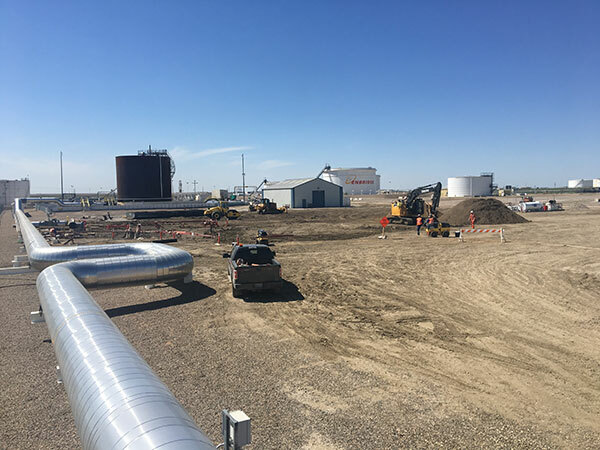 Great Plains executed all earthworks, piling, and fencing scopes for the Richardson pump station, in addition to providing skilled labour to support concrete, piping, mechanical, and electrical scopes at both the Richardson and Odessa pump stations. 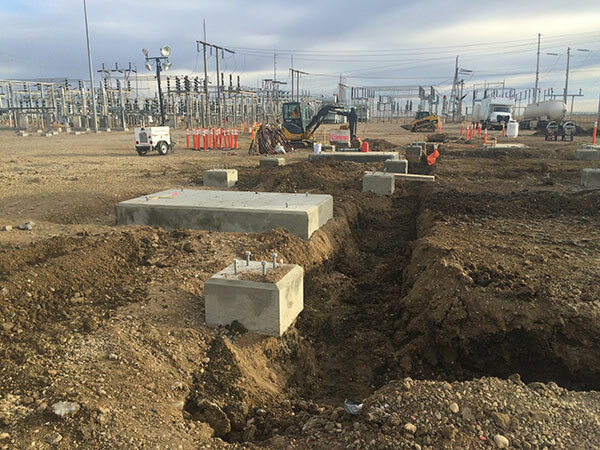 Under a Master Services Agreement with Saskatchewan Power Corporation, Great Plains performs civil works at various substations throughout Saskatchewan. Our scope on these projects includes earthworks, piling, concrete foundations, and grounding installation. 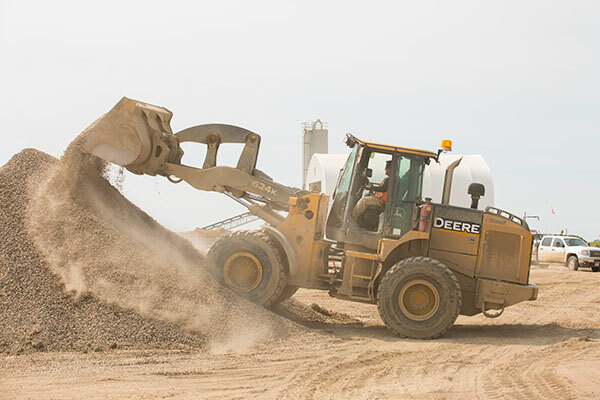 Great Plains provided construction services at PotashCorp of Saskatchewan’s Rocanville Potash Mine, the world’s largest producer of potash. Project delivery included scaffolding systems and touch-up painting of structural steel and handrails in the Mill area, Transfer Towers, and Galleries. Great Plains was subcontracted to Graham Industrial Services to complete the civil scope of the refurbishment of the 24021/24027 Belt Gallery Refurbishment at Mosaic’s K2 site. 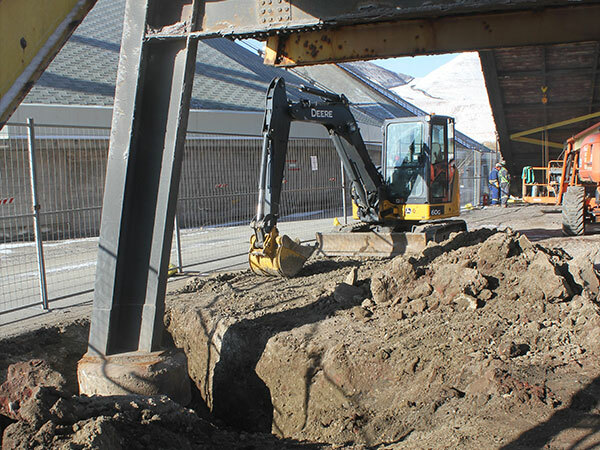 The existing concrete pile caps supporting the gallery bents were excavated to allow for an inspection to determine the structural integrity. Following inspection, the native fill was replaced and compacted around the foundations. 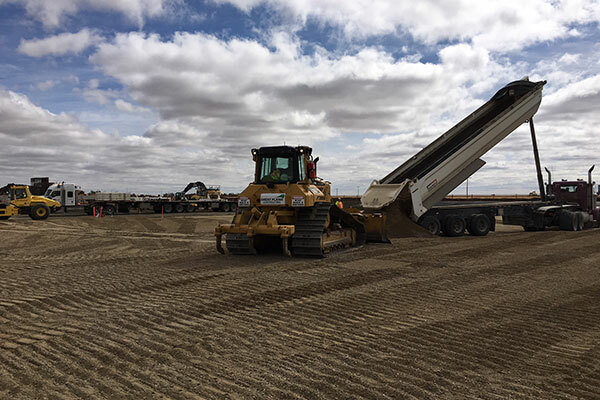 As part of Graham’s Construction Frame Agreement with Enbridge, Great Plains Contracting LP (formerly Points Athabasca FHQ Contracting LP) was subcontracted by Graham to provide operated equipment support for the primary construction activities on site. This included but was not limited to material offloading, snow removal, laydown management, equipment fueling, general excavation and backfill. Support for night shift heating and hoarding operations was also provided. The project was completed on schedule with no injuries or lost time incidents. 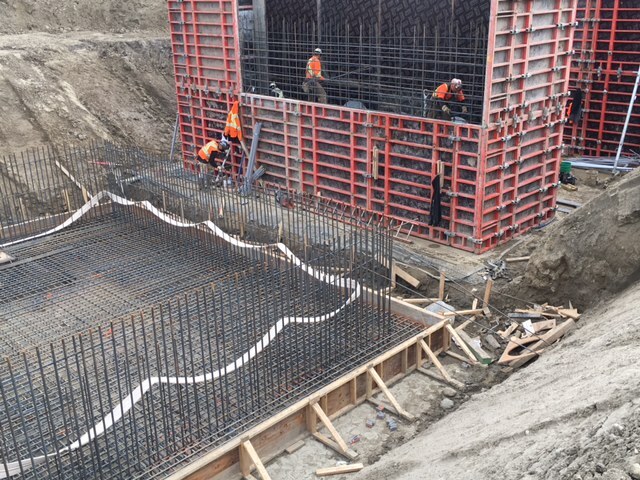 Great Plains Contracting LP (formerly Points Athabasca FHQ Contracting LP) was contracted to complete the installation of reinforced concrete to support the installation of branch and mainline pipeline work associated with the development of Well Pads 8 & 9 for the K+S Legacy Project. Included the construction of six (6) large thrust blocks with volumes ranging from 140 to 200 cubic meters, an underground valve station complete with 6.5 meter high walls, and numerous bearing and anchor slabs for the main and branch pipelines. 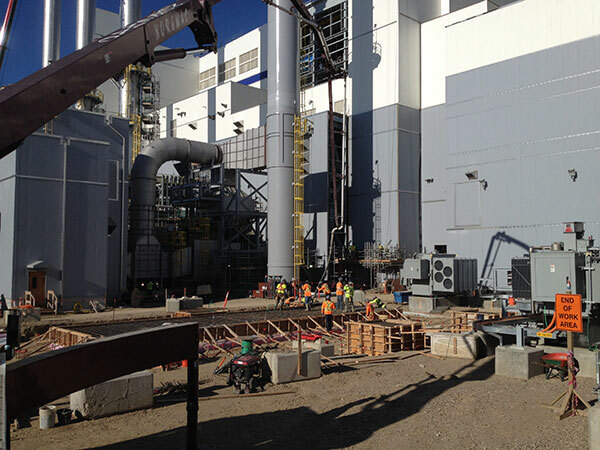 Great Plains utilized an engineered gang form system to maximize schedule performance on the installations. Approximately 1,200 cubic meters of concrete was placed on this project over the ten-week schedule. 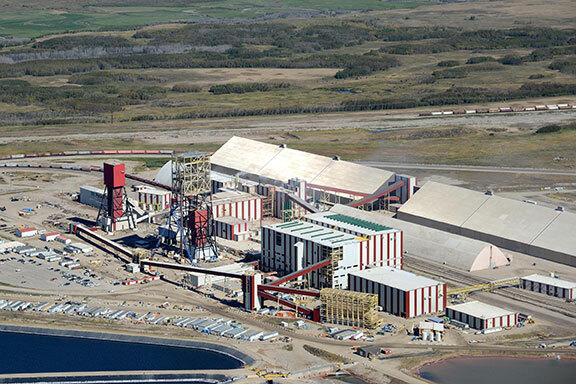 Great Plains Contracting LP (formerly Points Athabasca FHQ Contracting LP) was contracted to complete miscellaneous concrete and civil scopes for the K+S Legacy Project. The work included installation of concrete containment walls, door aprons, stair pads and elevated slabs, concrete repairs, excavation, backfill and site grading, installation of septic tanks, installing Coletanche and Ecodur liners to containment areas, upgrades to the fire water system, and grounding. 25,000 worker hours were expended in executing this project with zero incidents.